Custom Poster Printing is an Effective Way to Spread Your Message. You want to convey your message to as many people as possible. You’ve considered other methods of getting your message out, but just can’t figure out how to spread your message to the masses in a low cost way. You think poster printing is the way to go, but just don’t know where to start. Who’s going to design them, how many do you need, how much will it cost? You have questions? What if Someone Made it Easy to Design and Print Your Posters? Could you finally get that message out? How many people would see your message? Imagine how your business would grow! Matheson Printing Can Help You Spread Your Message. 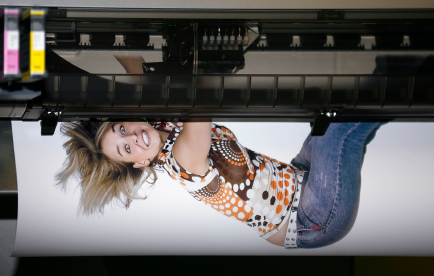 With over 27 years in the printing and design business, Matheson Printing is your trusted partner to help you design and print professional looking posters at a reasonable cost. They’ve done it many times before and have a history of satisfied customers. Action is the key to success. Don’t wait, get your message out now! Get Started on Your Custom Printed Posters Today. Contact us by phone at 905-602-1177 or fill out the contact form on this page and one of our expert printing consultants will give you a call and work out the details of your project and show you how you can save time and money with Matheson Printing.